If you want to know which trusted waxes we’ve come to rely on, then keep reading. Contrary to popular belief, this is not how most men look when they wake in the morning. It does take some effort to achieve a sleek, stylish style and hair wax is the facilitator between messy and just plain old messed up. Whether you’re looking for a strong or medium strength hold, a natural or shiny finish, or wanting to add more texture to your hair, Male Standard hit the supermarket shelves to see which products deliver on their word. Each of these products is suited for all hair types, with extra hold going to those with curly or frizzy hair. The whole TiGi Bed Head range is pretty awesome, but Hard to Get stands out in a crowd when looking to build texture. Texture is basically hairdresser lingo for messy – and it’s something we actually want, but only when it’s done right. Hard to Get is aptly named because bedhead is not always so simple to achieve. If you thought sleeping on wet hair was the obvious way to win this battle, you’d be wrong – you need a texturizing hair wax that separates and defines each strand and holds them in place. 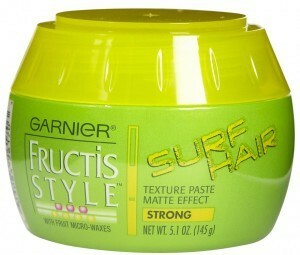 Applied to damp or dry hair, this will give you that surfer swept look you’ve been after without tons of buildup. 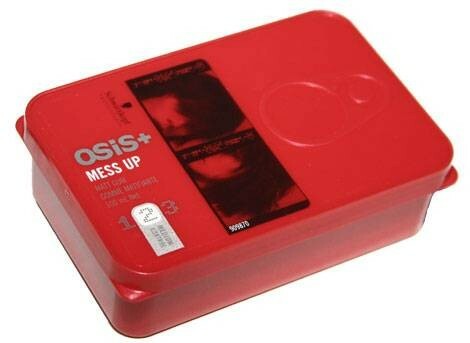 Another great texturizer, Oasis Mess Up is unique in that it leaves your hair looking and feeling glossy, shiny, and healthy (if not a little messy). This has a unique added shine serum that is a great way to boost your natural sheen as many texturizers usually create a matter finish, which is also to blame for a lackluster appearance of dull hair. While that’s a good look at times, this is a medium strength hair wax with long lasting hold won’t leave you with frizzy, out of control hair. This is a great go to for daily wear and won’t leave you with a style that’s more suited for out of the office. Another TiGi product (didn’t we say their stuff is awesome? ), S Factor Creamy Molding Wax is a less dramatic, more nourishing alternative to texturizers. This traditional hair wax is best used when you want to keep your style sleek, and is water soluble meaning it won’t leave any sticky residue. It does have a light citrusy scent, but it’s still masculine and fights humidity, which is a win in our book! If you want shiny, strong hold with a sleek finish, this is the product for you. It is unisex, but no one will tease you about keeping this on your bedroom shelf. Garnier falls under the L’Oreal brand name and delivers high quality hair care products that style and shape with attention to nourishment. What we like about this unisex Surf Style Hair product is that it gives the appearance of beach hair, without all the negative aspects of standing in the sun or spending lots of time in damaging salt water. It’s budget friendly and leaves your hair feeling soft and manageable. You can also choose from other Surf Hair products in the range to switch between different hold strengths which is handy – not all waxes should be super strong. Great wax for natural wannabe bedheads! While Mandom has created something named more comparable to a condom brand, this is the go to product for Japanese men who are all about starting trends. When you think of daring J-Men trends that signature spikey hairstyle comes to mind and this is why. Maximum strength, maximum lift and long lasting hold make this a great choice for extreme hair makeovers that wash out. 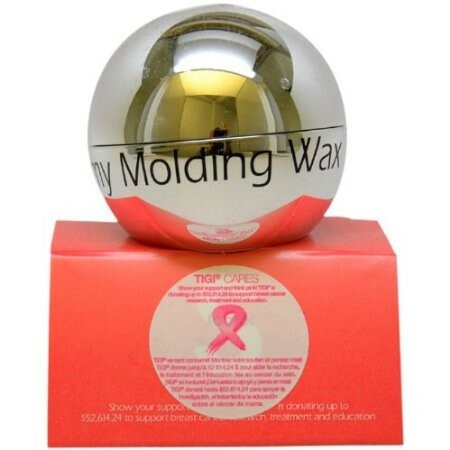 This is not a wax to be used by the faint of heart but it does have a light apple scent and leaves hair in place for the day (just ignore or embrace the pink packaging). So there you have it, folks! The top five hair waxes for men, with every hair type covered. Test them out for yourself, get familiar with the products and see how they work with your hair style and if you have any questions, be sure to drop us a comment below and ask! The best trick for applying hair wax is to practice, practice, and practice some more. Just when you think you’re ready to give up you might be pleasantly surprised to find your next “Holy Grail” product is waiting in the wings!